As news emerges of a camera drone crashing on a live TV show, during an item about drone safety, Amateur Photographer (AP) publishes the full transcript of its recent exclusive interview with the UK’s aviation regulator. A DJI Phantom drone crashed in a Fox News TV studio during an interview with a technology journalist. The news comes as Chinese drone maker DJI declares its support for the micro-four-thirds standard, according to a statement issued by Olympus on 10 February. 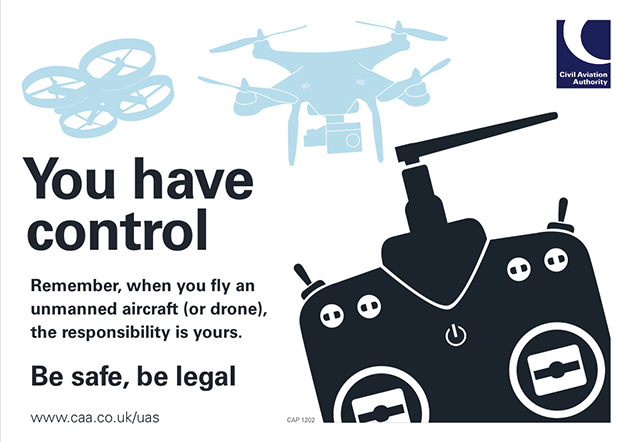 As a timely guide for photographers about drone safety, AP publishes for the first time the full transcript of the magazine’s interview with Civil Aviation Authority (CAA) spokesman Tony Finnegan. The interview took place at AP’s central London offices last month. AP: What are the key things enthusiasts should remember when flying a drone? Secondly, they need to make sure they always have line of sight of the drone when they are operating it. AP: Why highlight the potential dangers of drones now? AP: When do you need permission? We have 450 organisations that have that permission. AP: How has this changed? AP: What are the common questions people ask? AP: How do people go about getting permission? AP: Where are the rules available for the public to view? AP: If you break the law, what can happen to you? AP: What can the CAA do to stop people breaking the law, apart for giving advice? AP: If someone commits an offence, realistically how can the culprit be identified? AP: Do you see a day when new laws will be brought in and when drones, or drone users, will need to be registered?